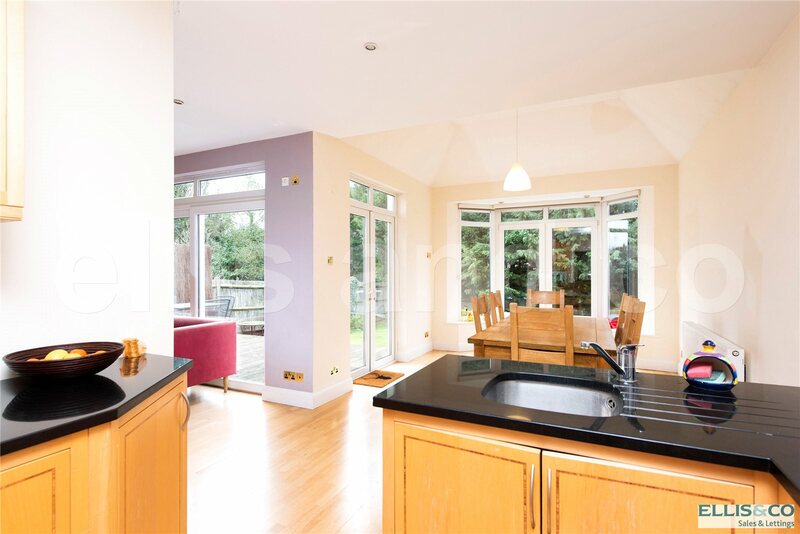 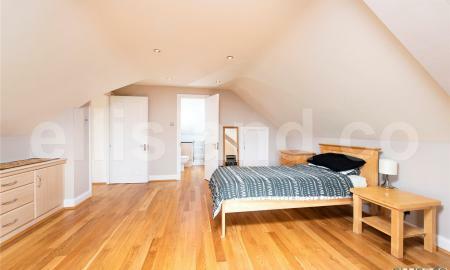 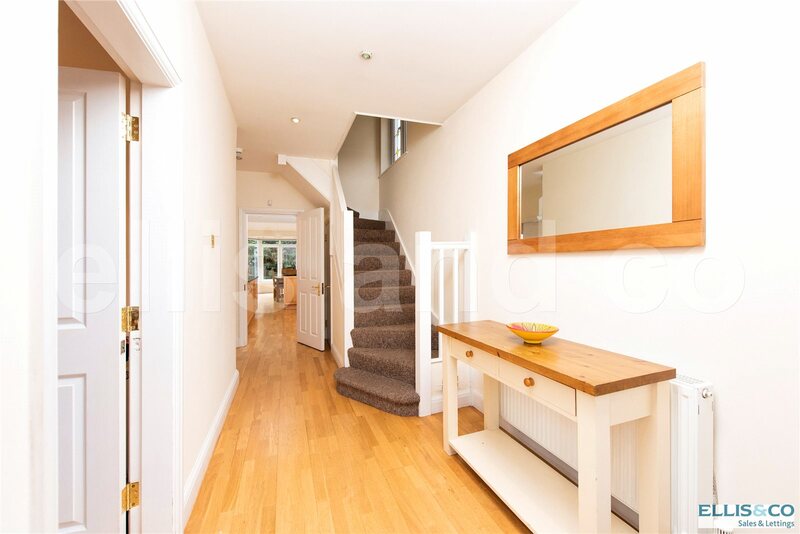 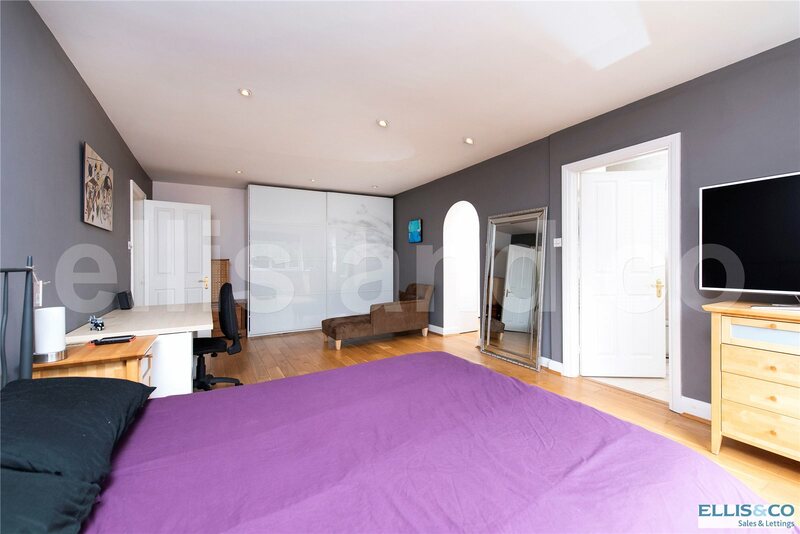 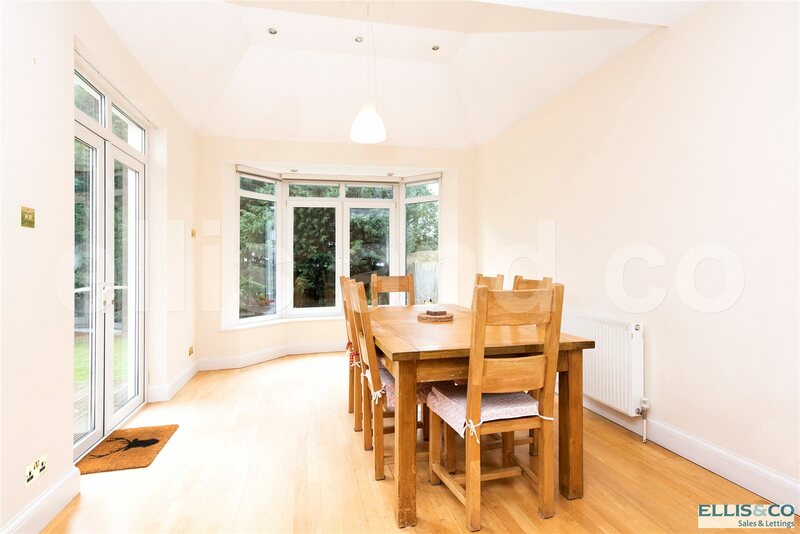 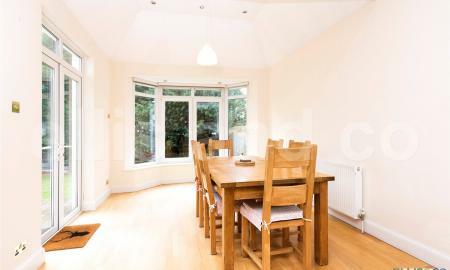 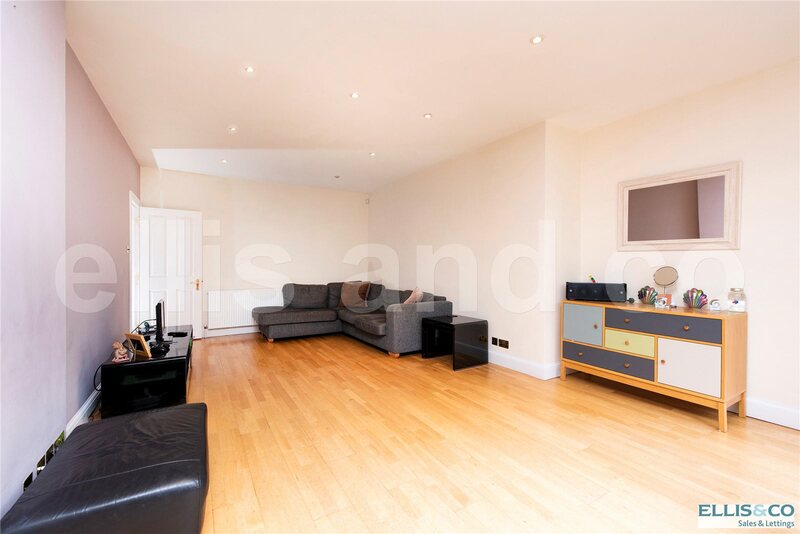 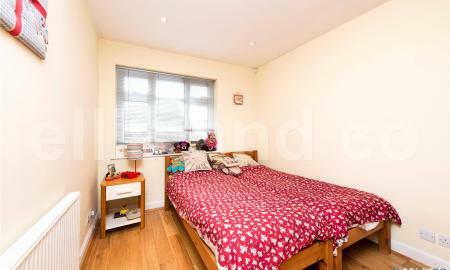 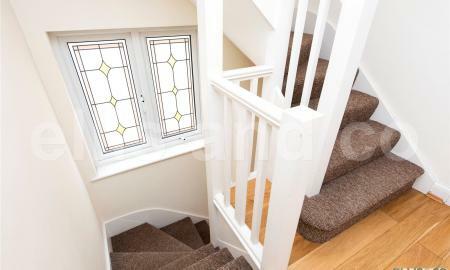 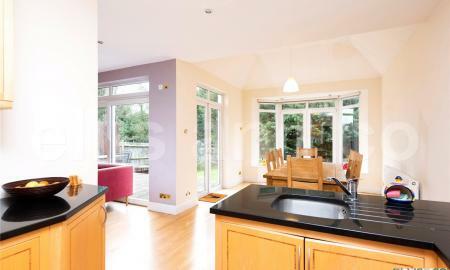 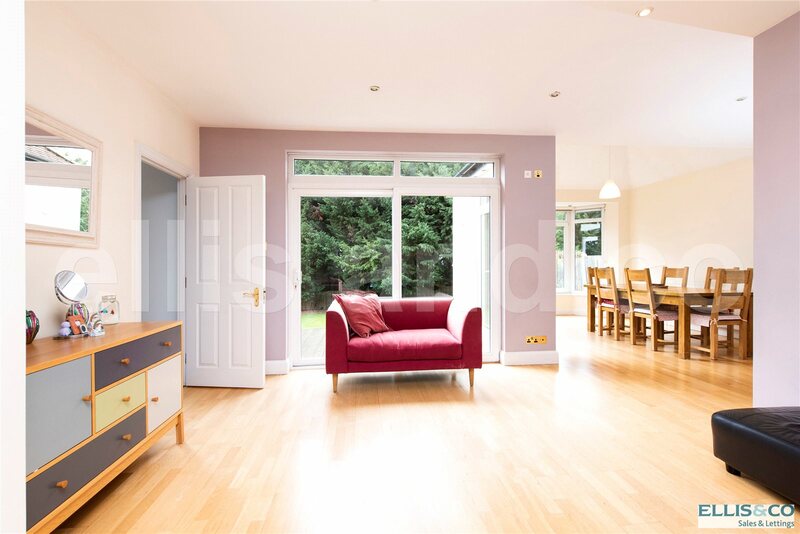 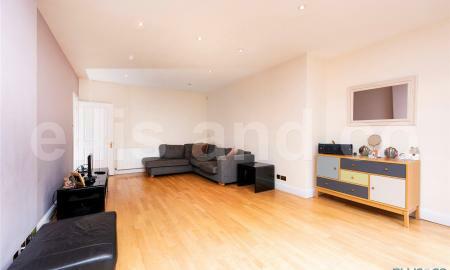 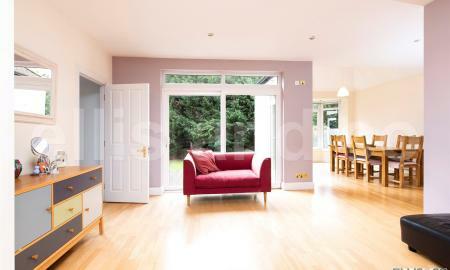 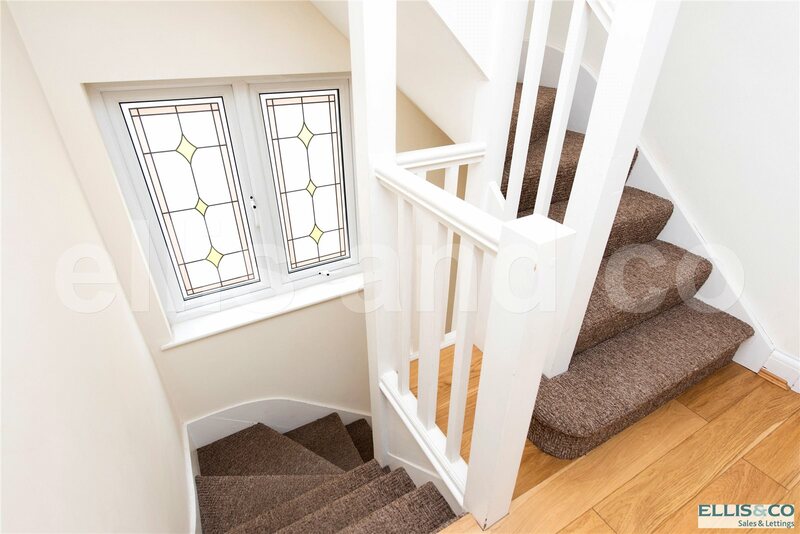 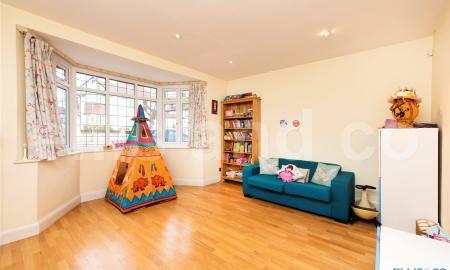 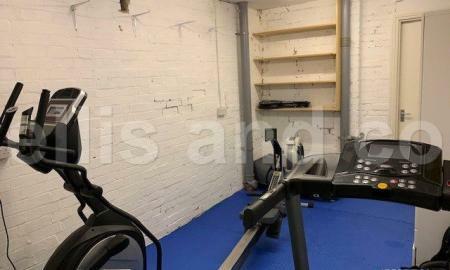 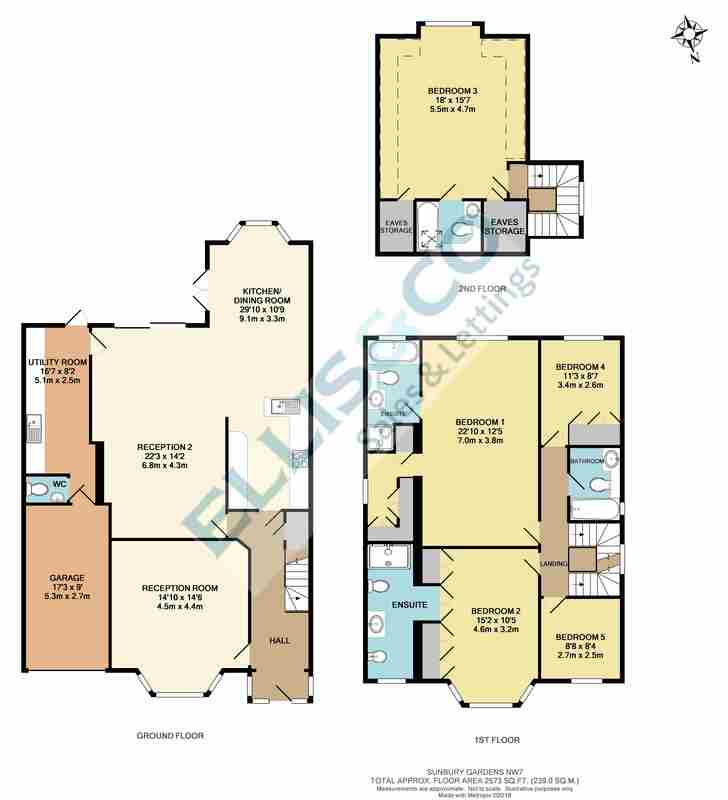 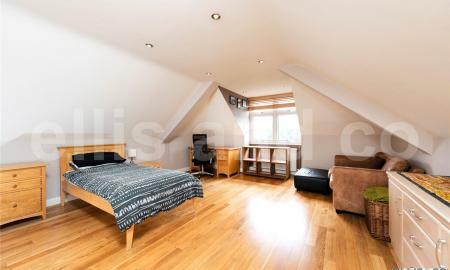 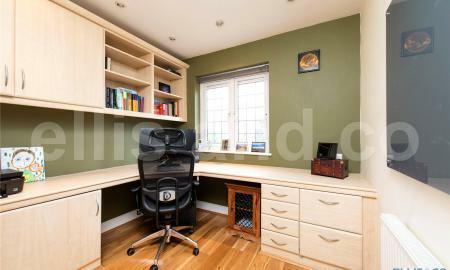 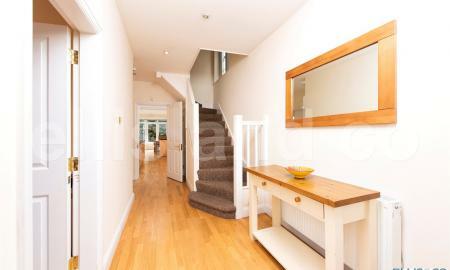 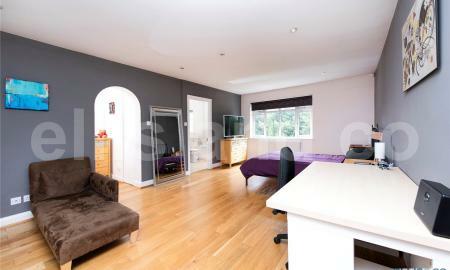 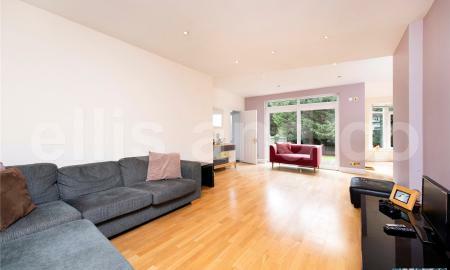 6.8m x 4.3m (22'3" x 14'2") Open plan to kitchen/dining room, door to utility room. 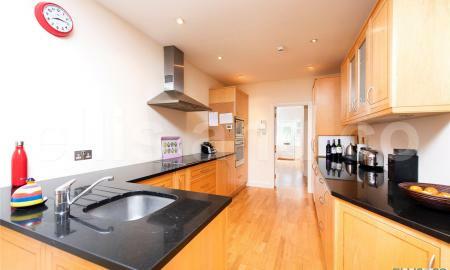 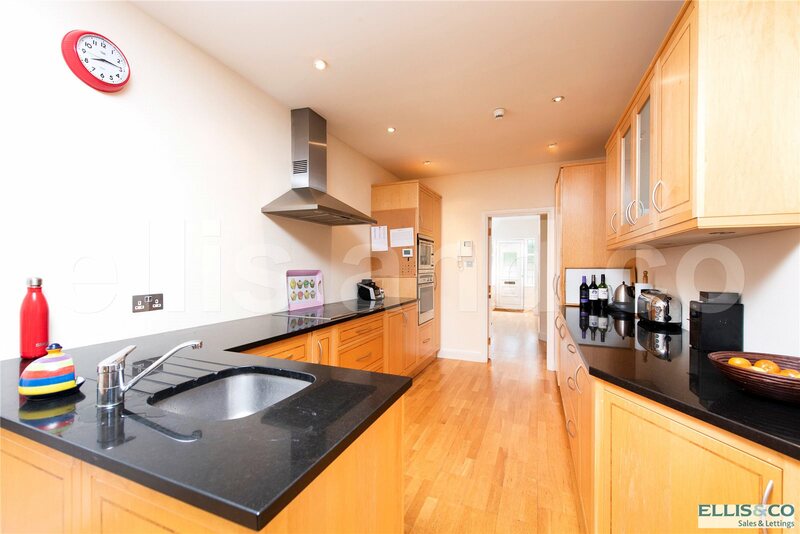 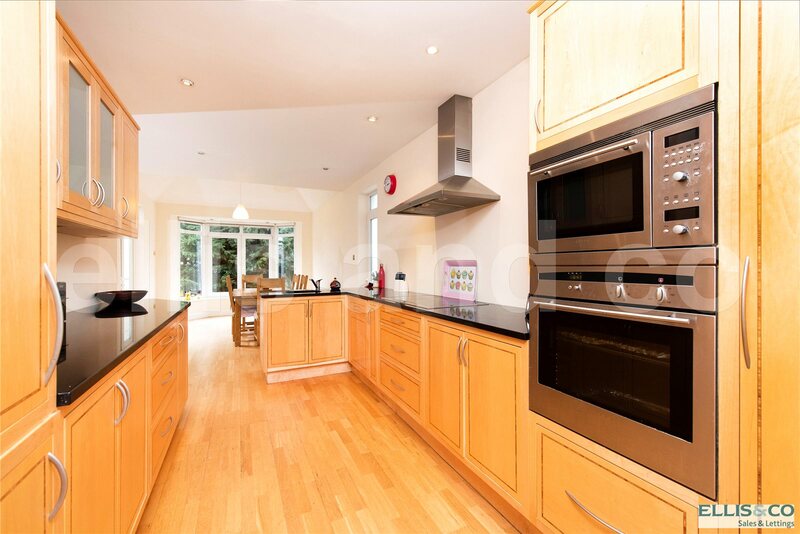 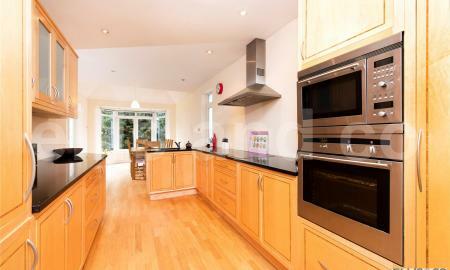 9.1m x 3.3m (29'10" x 10'9") Quality fitted kitchen with integrated appliances and granite work surfaces. 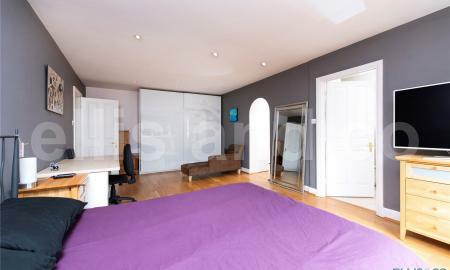 5.1m x 2.5m (16'7" x 8'2") Door to guest WC & door to integral garage. 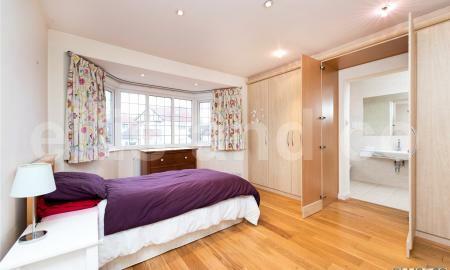 7.0m x 3.8m (22'10" x 12'5") Door to dressing area & ensuite bathroom. 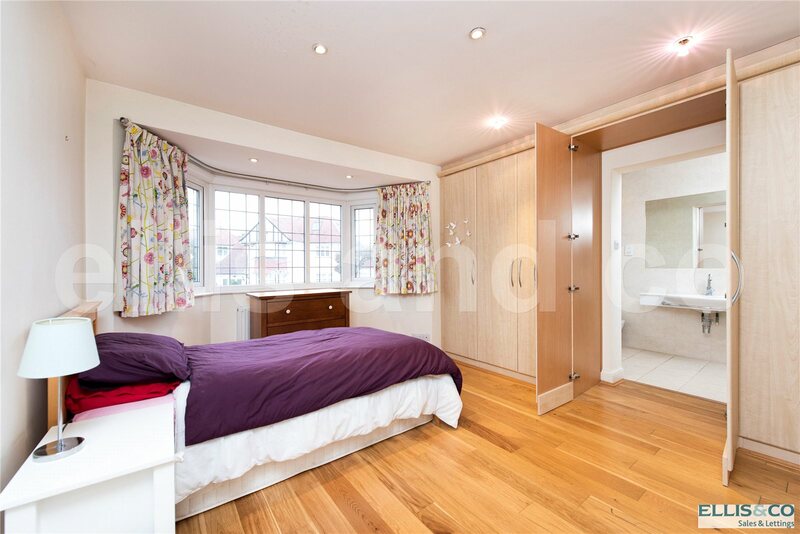 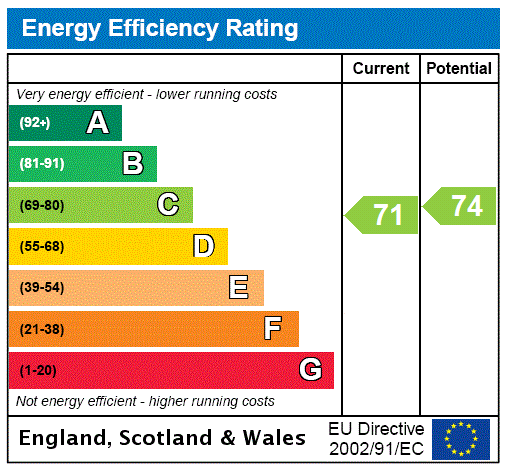 4.6m x 3.2m (15'2" x 10'5") Quality fitted wardrobes with concealed entrance to ensuite shower room. 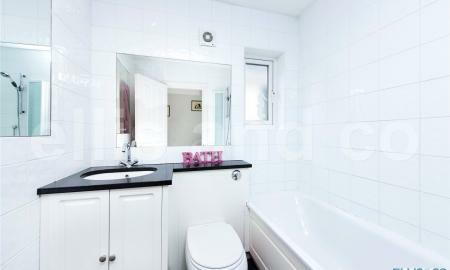 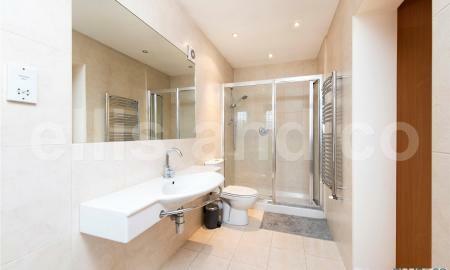 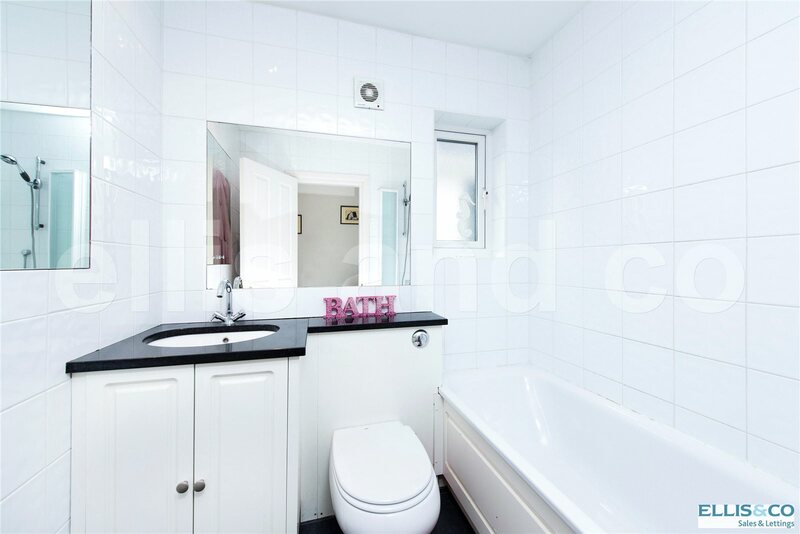 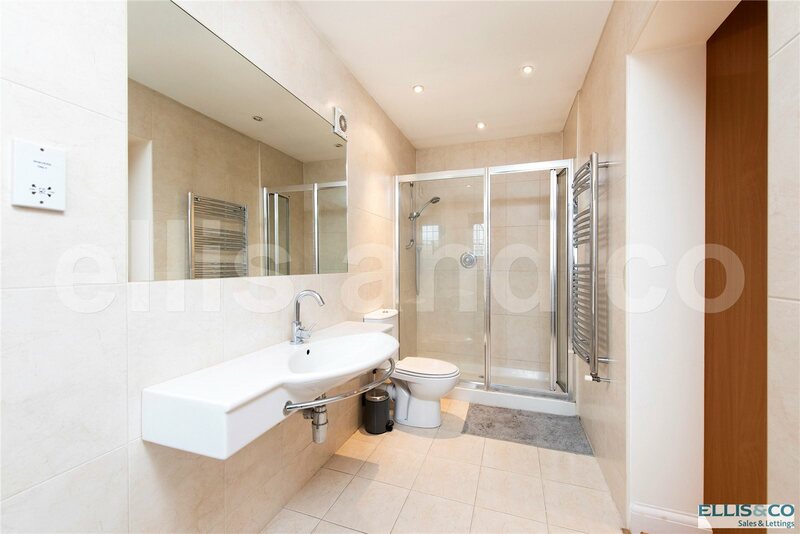 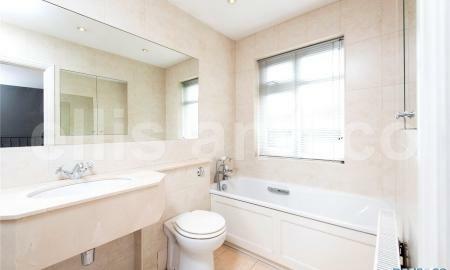 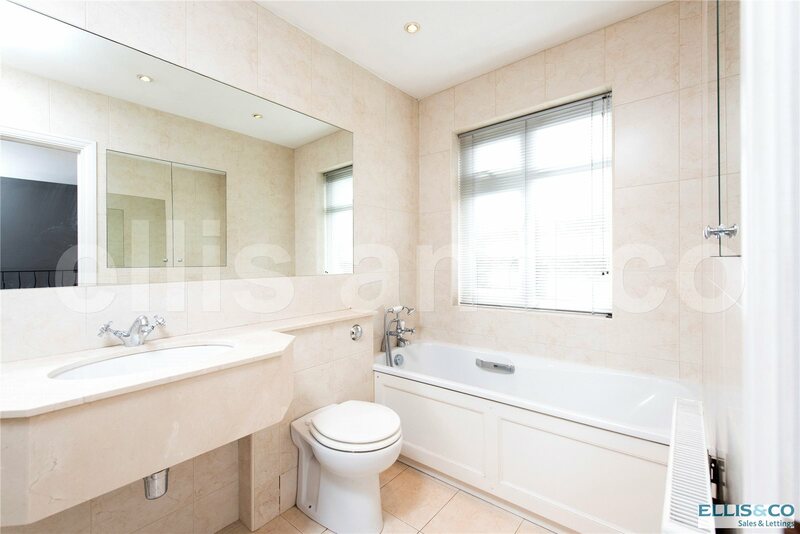 5.49m" x 4.75m Door to ensuite shower room, access to eaves storage. 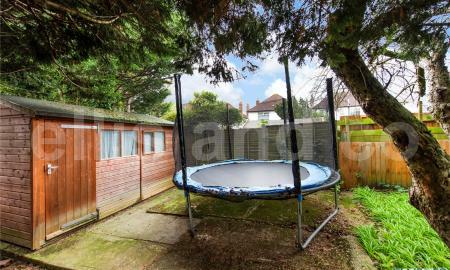 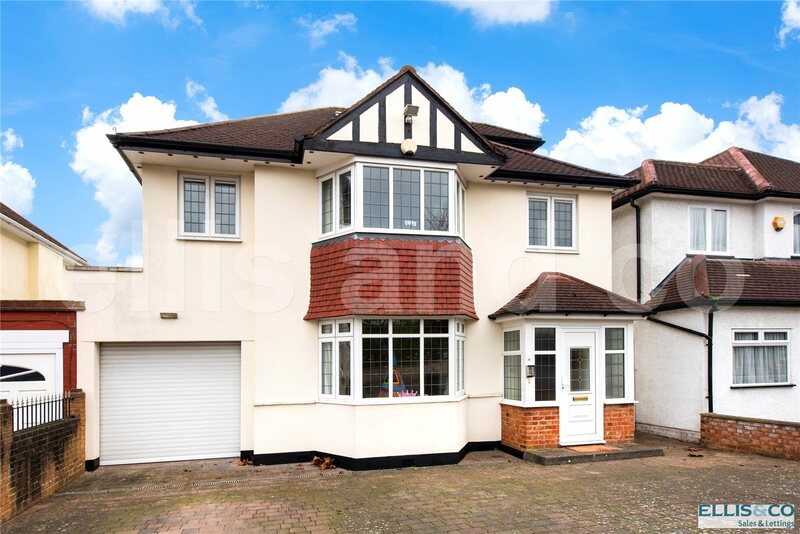 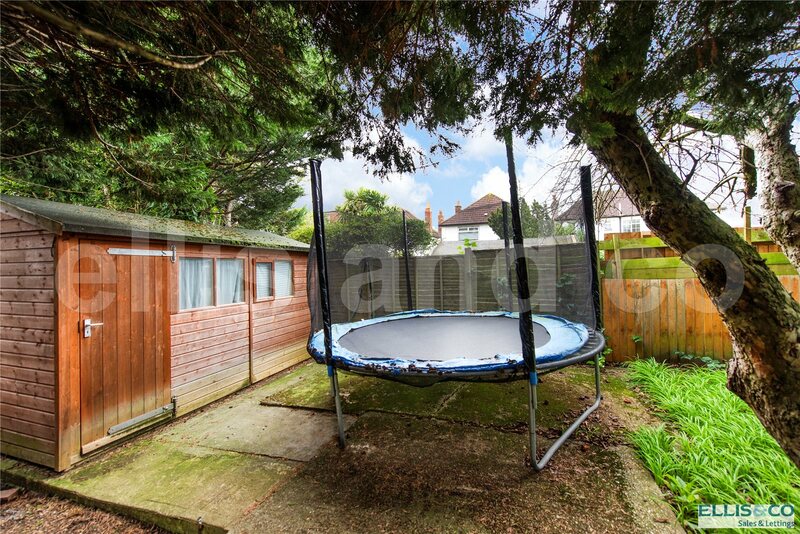 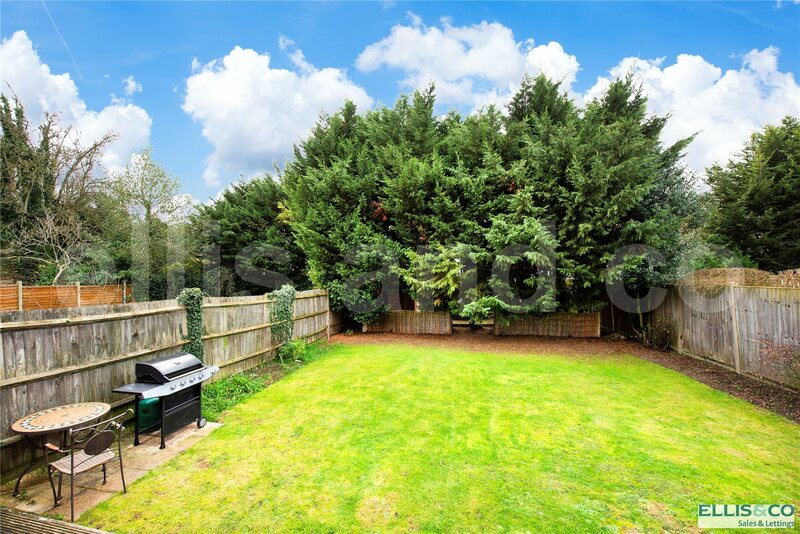 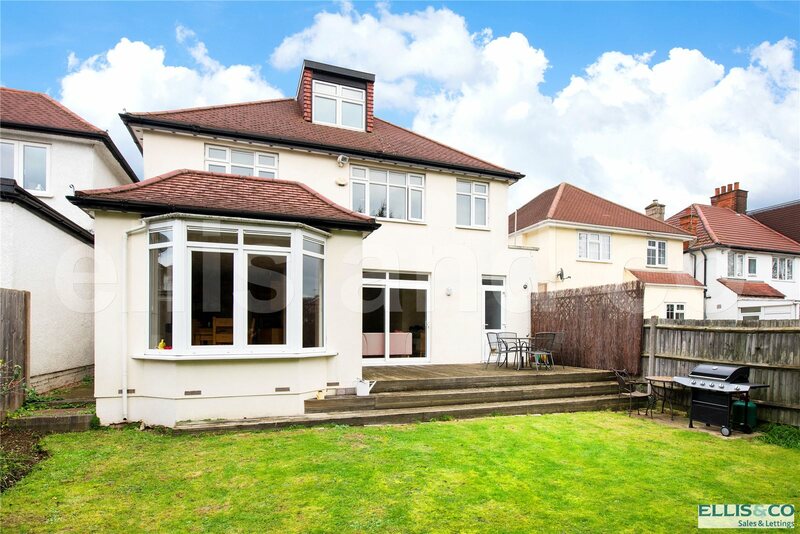 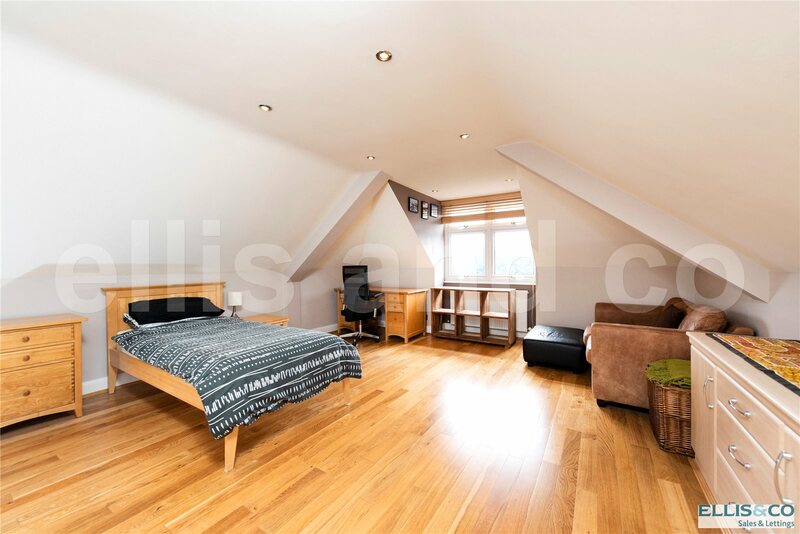 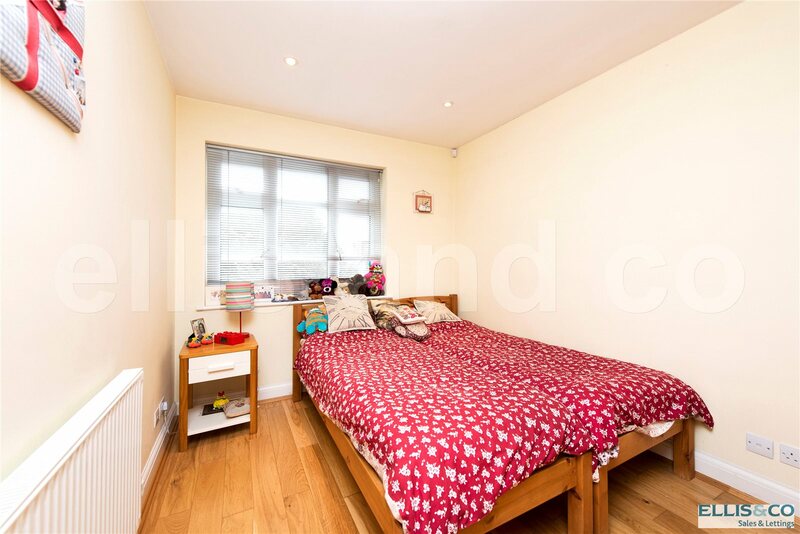 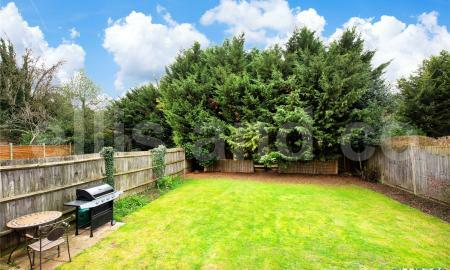 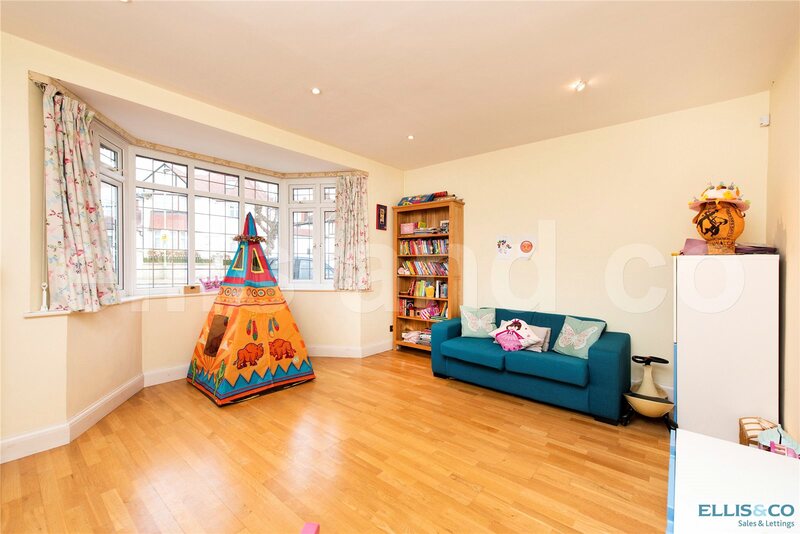 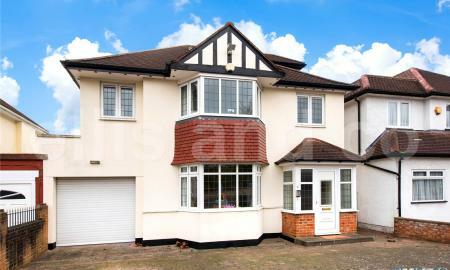 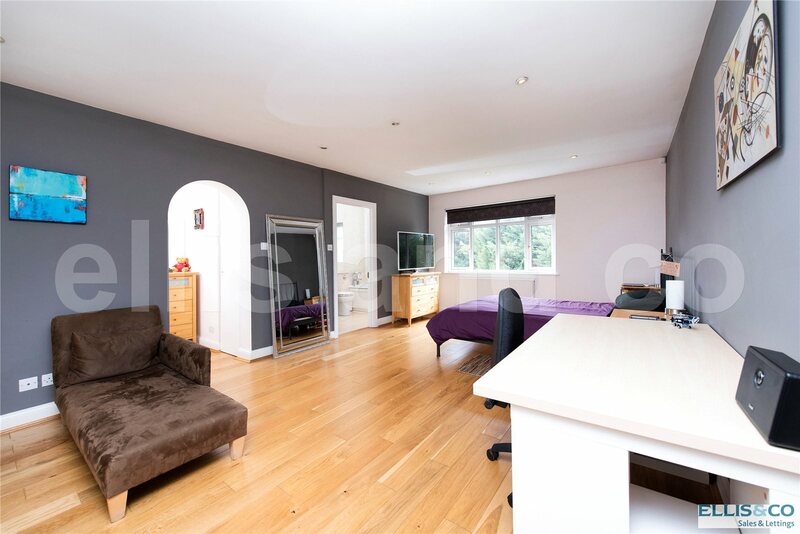 21.3m x 10.7m (70'0" x 35'0") Well tended south westerley facing rear garden with paved patio area, rest mainly laid to lawn, gated side entrance. 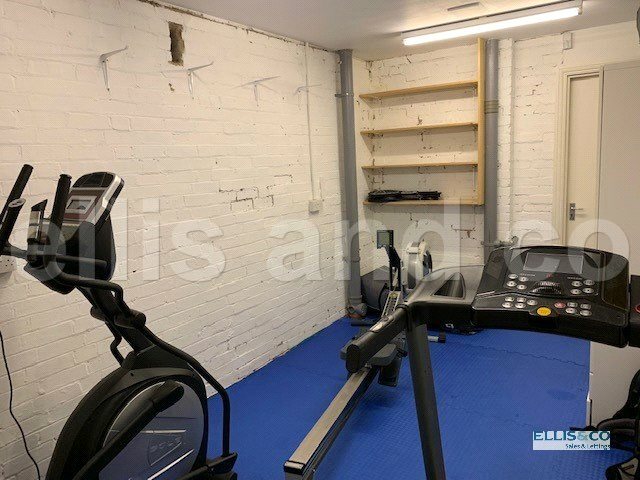 5.3m x 2.7m (17'3" x 9') Single garage (currently used as a gym) reached via block paved own drive with off street parking for several cars.